The Fremont is a holistic senior community with an engaging environment. We encourage independence and offer a variety of services and amenities to suit your lifestyle. Our amenities and full calendar of events ensure that the seniors who call our community home are active and entertained. We are proud to serve the seniors of Springfield and the surrounding area. Stop on by and see for yourself how The Fremont improves the lives of seniors each and every day! With a variety of floor plans and services, The Lodge offers the very best in Independent Living. Residents can choose between one or two-bedroom options. Care services are available for those who would like additional assistance with day-to-day activities. The Fremont offers a continuum of care community focused on dignity, respect and quality of life where residents can age in place. Each apartment is designed with aging in mind for comfort and safety. 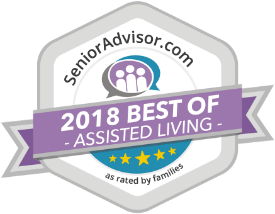 Whether a resident of our Senior Villas, Independent Living Lodge, Assisted Living, or our Memory Care Cottage, each and every detail of the community, its amenities, and its programs are chosen to provide superior quality and comfort. The Fremont prides itself on a staff that will treat you like family. Each resident receives a personal wellness meeting, and working with your physician and health care providers, we ensure that each element of daily living is addressed to enable the highest level of independence – all provided with dignified, loving and healing care. Whether a resident of Independent Living, Assisted Living, or Memory Care, The Fremont respects your lifestyle and personal needs, while ensuring a level of customer service and attention to detail that is unsurpassed. From an elegant dining room to spaces conducive to entertaining friends and family, our campus is an extension of your home. Whether exercising using our LifeTrail equipment or pampering yourself at Le Soleil salon, each day offers an enriching experience that you deserve. Host a cooking class in the country kitchen or settle in with some popcorn and a new release in our theater. The Fremont offers the most wellness-minded senior community in Springfield. We promote healthy aging in each aspect of our services and amenities. LifeTrail offers an interactive, outdoor exercise routine that you can do at your own pace. Designed for seniors, it ensures that each station along the LifeTrail is tailored for the residents of The Fremont. Our indoor exercise studios and fitness centers are always open for use and we offer scheduled group classes, such as strength training, yoga, tai chi and aerobics. Whether your mental push-ups involve reading a good book, puzzling over brainteasers or challenging friends in friendly competition, our community spaces are charming areas where you’ll be relaxed and engaged. Reserve your spot at The Fremont Today!